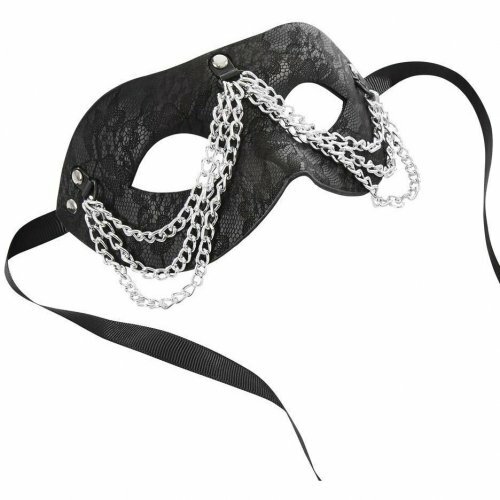 Add glamour and grit to your fantasy play with the Chained Lace Mask. Consider kicking your sensory play up a notch by warming up or cooling down the chains before use. The stylish mask is flexible and comfortable to wear for extended periods and includes an easy tie satin closure. Pair with your favorite cuffs and lingerie to complete an enticing visual fantasy Excellent for role play and costume themed events.